Travis Bradshaw of Burlington, Oklahoma, has been named to serve on the National FFA Board of Directors. Currently the Agricultural Education Instructor and FFA Advisor for Burlington Public Schools, Bradshaw holds a master’s degree in Agricultural Education from Oklahoma State University. The Burlington FFA Chapter was the national winner for the Model of Innovation chapter development award in 2015 for their work on a documentary about the FFA Creed’s author, E.M. Tiffany, and his son Jackson Tiffany. Burlington’s William Maltbie was also named the American Star in Agribusiness in 2015. Over the past 14 years, the Burlington FFA Chapter has had 26 American FFA Degree recipients and 47 State FFA Degree recipients. "We are excited to have Travis serve on the board," said National FFA Advisor and board chair Dr. Steve A. Brown. "He brings with him a great perspective from the classroom and also with chapter leadership events. We are looking forward to his future contributions on guiding the National FFA Organization and helping FFA members prepare for a lifetime of career success." Bradshaw has previously served as President of the Oklahoma Agricultural Education Teachers Association and President of the Oklahoma Association of Career and Technical Education. 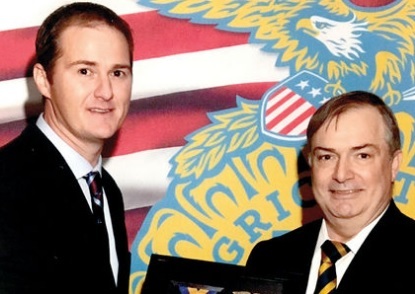 His appointment to the National FFA Board of Directors is a three-year term.